Planning your next holiday? A hire-car will give you the freedom to explore and discover at your own pace. Whether you're looking at a tiki-tour through the South Island, a messy outing through the Aussie outback, a romantic journey through Europe or a great American road trip, Flight Centre have it all covered. We've partnered up with DriveAway Holidays to bring you scores of international and local car hire options with the most competitive car hire rates in over 8000 locations worldwide! The open road is calling, so email one of our 130 stores nationwide or call us on 0800 24 35 44 and start your adventure today! With Flight Centre and DriveAway you'll be sure to get e great deal on car hire abroad. 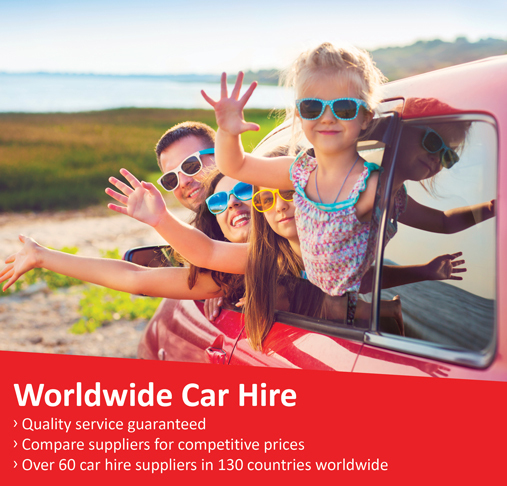 You'll also find great deals on prestige car hire, motor home hire, motorbike hire & more!